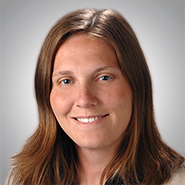 CHICAGO, Ill. — The national law firm of Quarles & Brady LLP today announced that Nicole A. Bashor, an associate with the firm's Intellectual Property Practice Group, has been appointed as an affiliate representative of the National LGBT Bar Association and Foundation board of directors. "I am honored to serve on the board of the National LGBT Bar Association and Foundation," said Bashor. "I join an accomplished group of professionals dedicated to promoting justice in and through the legal profession for the LGBT community." In 2014, the National LGBT Bar Association named Bashor one of the 40 Best LGBT Lawyers Under 40. The award honors LGBT legal professionals who have distinguished themselves in their field and demonstrate a commitment to LGBT equality. Bashor also is active in the Lesbian and Gay Bar Association of Chicago, where she is first vice president on the board of directors, and serves as chair of the Community Outreach Committee.